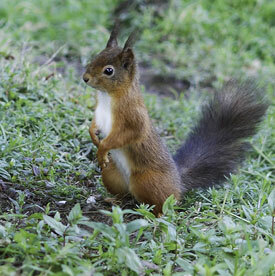 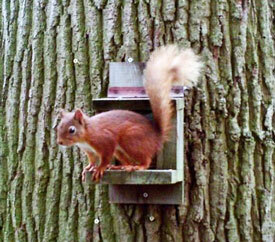 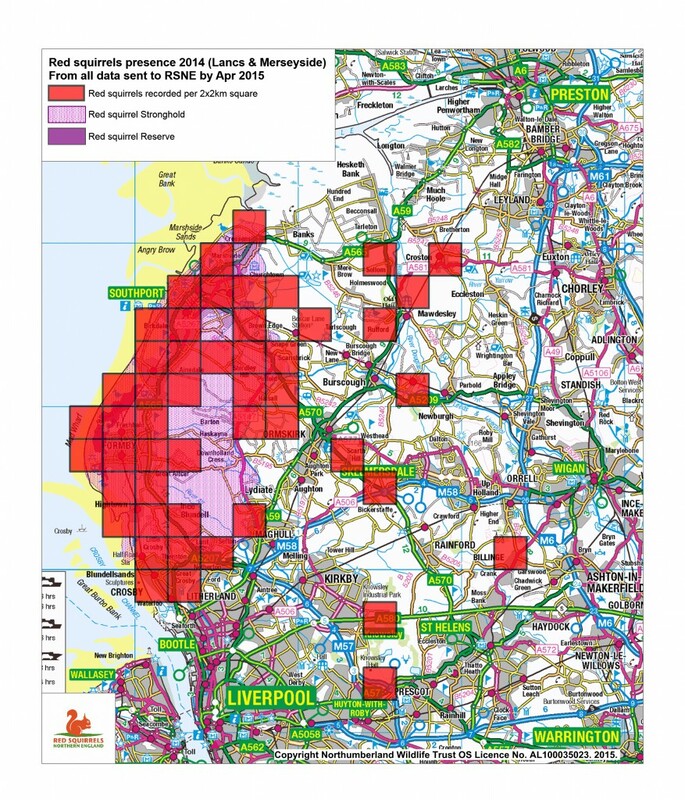 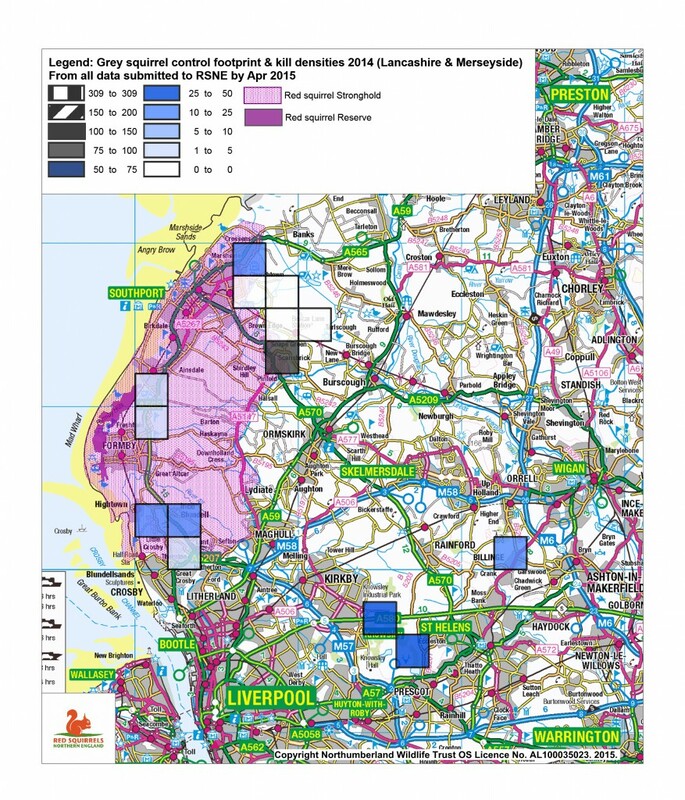 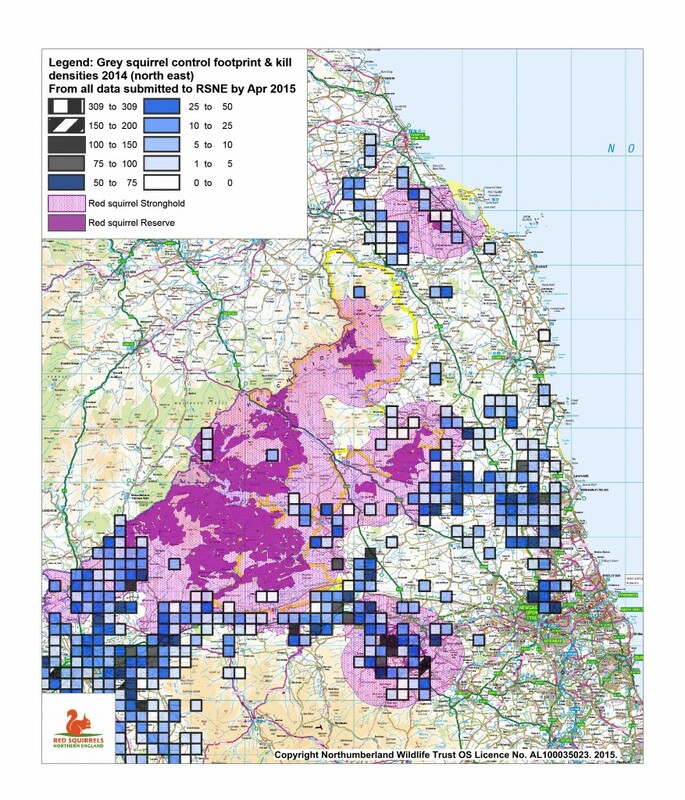 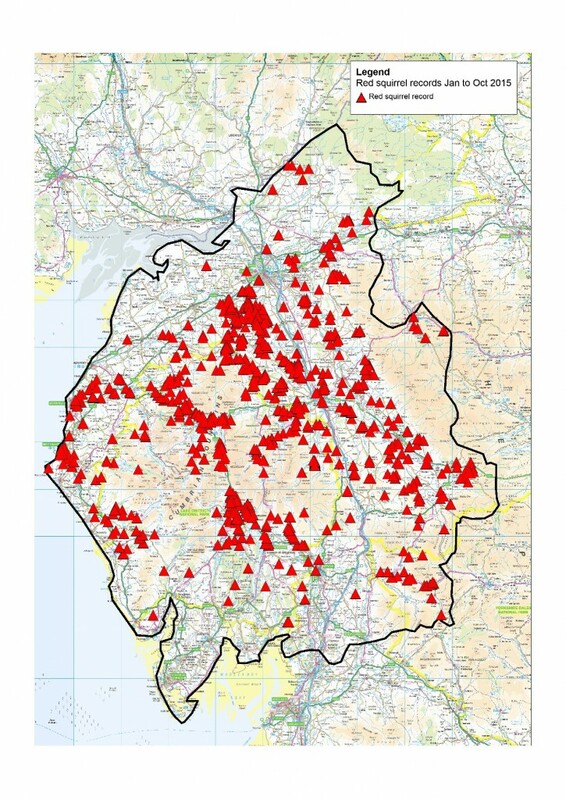 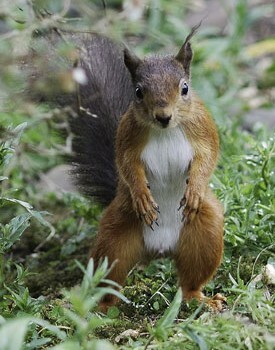 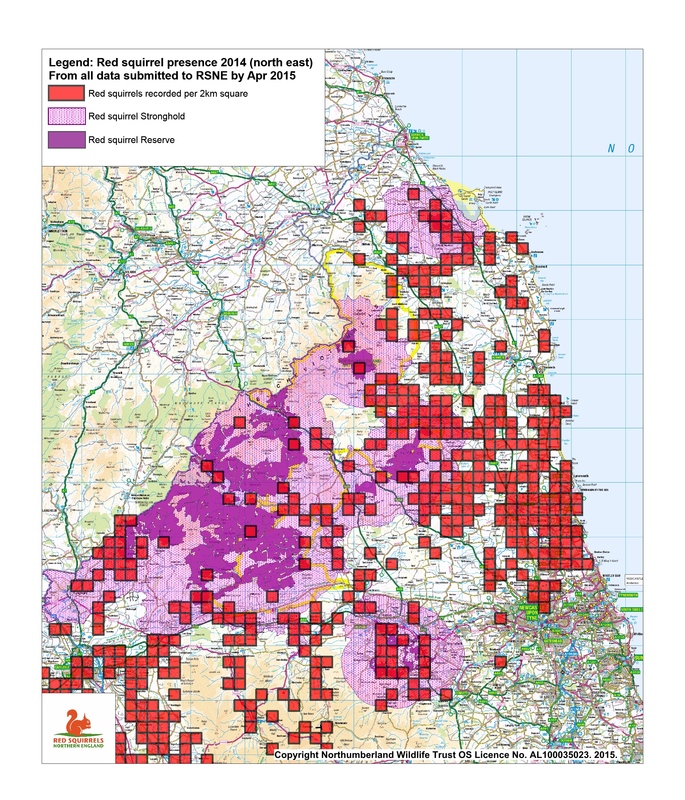 Red Squirrels Northern England (RSNE) collate red squirrel sightings and grey squirrel control data to produce annual and regional maps. 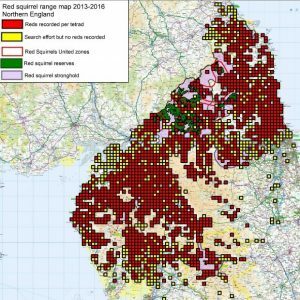 They combine the data supplied by the voluntary red squirrel groups across the region with data from their Red Squirrel Rangers and the results of their Squirrel Monitoring Programme>> to show red squirrel presence and the impact of grey control. 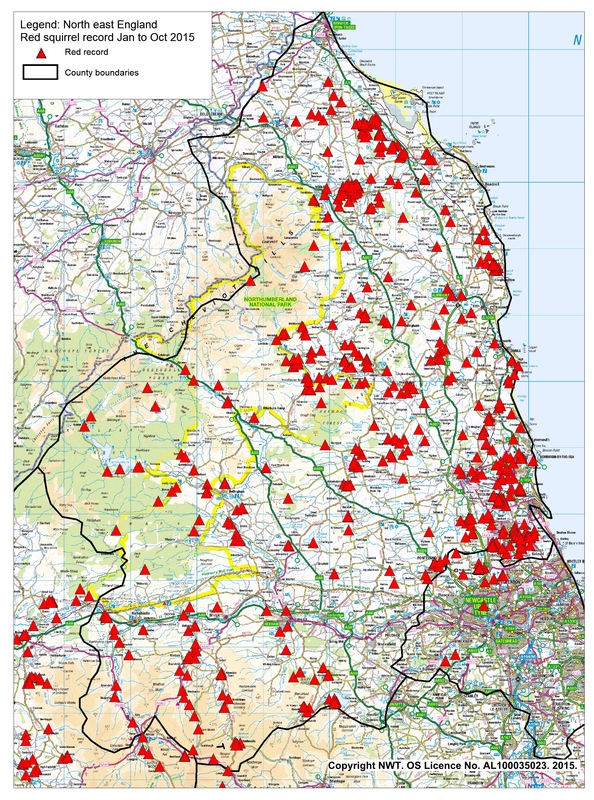 A selection of the maps is shown below – latest first.